Goway's fully escorted Waltzing Matilda tour is very different to the other programmes offered to Australia and the South Pacific. It is one of Goway's specifically designated escorted HOLIDAYS OF A LIFETIME that carry a promise of something special! 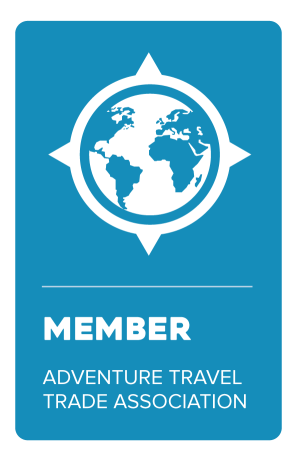 Their professional Tour Director will take care of all the day to day details allowing you to enjoy the history, culture and natural beauty of each of the countries visited on this trip. Australia and New Zealand both offer a wide variety of scenery, cultural variations and local attractions. The HOLIDAY OF A LIFETIME starts in Sydney, home to the world famous Harbour Bridge, Opera House and a spectacular harbour. Next fly to Cairns situated on the Great Barrier Reef where sightseeing activities include a trip to a coral island, a classic train ride into the neighbouring mountains and the opportunity to meet Goway’s “adopted” koalas. 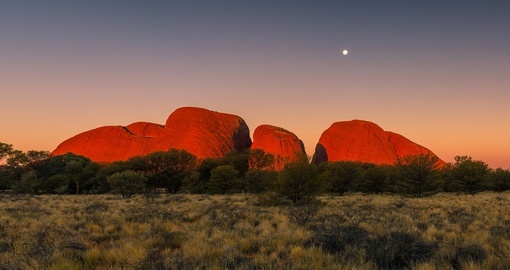 A flight to the Outback brings you to Ayers Rock in the heart of the Australian desert, the sacred site for Aboriginals. Next is an overland journey to Alice Springs, home of the Flying Doctors. Here you have a choice to take the legendary Ghan overnight train to Adelaide or fly directly to Adelaide. On arrival, you can decide on a visit to Kangaroo Island with its prolific wildlife or go to the Barossa Valley to check out the vineyards. Fly then to Melbourne, a modern vibrant city. On arrival in New Zealand, your first stay will be in attractive Christchurch known as the Garden City and often described as the most "English City" outside of England. An overland drive brings you to Queenstown, a lovely resort on the South Island and from which you will take a day trip to the magnificent fiord-like Milford Sound on which you will have a cruise. Then fly to the North Island to Rotorua with its natural geothermal activity including boiling geysers and mud pools. You will enjoy a traditional Maori evening and an exhibition of sheep sheering. On the way to Auckland, there will be a stop at Waitomo to see the glowworm caves. Auckland provides the final stop and includes a harbour cruise on which a “Farewell to Downunder” dinner will be experienced. Come and join the Waltzing Matilda, the ultimate, fully escorted, "Holiday of a Lifetime" tour to the South Pacific. Contact us today to book your holiday of a lifetime Down Under!